Running in a new location has two stages. The first stage is the “settling in” stage, where I am trying to get my bearings and figure out decent running routes. The runs in that first stage tend to be shorter and less relaxing, mainly because I am trying to not get lost and/or killed crossing the street. The second stage is the “honeymoon” stage. The runs tend to be long, relaxed, luxurious. In the honeymoon stage I am familiar enough with the area to know roughly where I am going and how to get back, but the scenes around me are still new enough that they are exhilarating and make me want to keep pushing forward. I always want to see what is around the next corner, over the next bridge, up ahead in the next mile. As a result, I always go a little further than planned. Running in Paris was true to the formula. 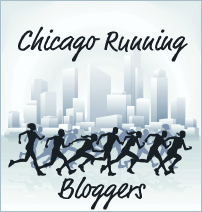 I had done a couple of short runs to get my bearings, now I was in the honeymoon stage (a very appropriate stage for Paris where everyone either is on their honeymoon or is acting like they are, but that is another blog post altogether). After taking some time to map out possible routes, I decided the best course of action would be to run along the Seine. It would afford ample sightseeing oportunities, and I figured the river would be a good landmark to help me keep my bearings. Out one side, back the other. How hard could it be? I ran along, my feet declaring “I am here” with each step. The sun was partially hidden by haze, the light was golden, the river was quiet. Every time I thought about turning back I decided to press on just a little further. What’s more, there seemed to be a lot of police activity, so I hoped I might stumble upon something interesting. Eventually, I decided it was time to turn around or my legs wouldn’t make it back to the hotel. I crossed the river and headed back the other side. That is when I ran thick into the police activity. Road closed. Everyone, including pedestrians, diverted. I have no idea what was going on. Visiting dignitary? Terrorist threat? Civil protest? Heck, it’s Paris, it could be all three. I was diverted into the small side streets of the Latin Quarter. Instead of running along the quais of the Seine, suddenly I was running past people drinking their morning coffee at their corner cafe. In some areas, I practically ran between the cafe tables. Instead of just running past people and their dogs, I was running between people and their dogs. I was running around people on their way to work, having to hop onto the street to get out of their way. I had to be careful not to trample over little old ladies out picking up their daily baguettes. It being the Latin Quarter, I was the only one up and running at that hour. And of course I got lost. I kept trying to turn back toward the river, but I kept encountering the relentless police barricades. Police in Paris carry some serious hardware, so picking an argument about why the streets were closed didn’t seem like a wise idea. I simply ran on. Finally, I managed to make it back to the Seine and along to my hotel. I had run a mile or two longer than planned, but I felt good. After doing some errands and taking care of a few business items, I was left with an afternoon stretching out in front of me. Unfortunately, by this time it was raining. Hard. I thought it might be a good day to go to the Louvre. When I got there, however, I realized that the entire population of continental Europe had the same idea. Apparently, every tourist decided the Louvre was the place to be. Too crowded, too chaotic. I kept going. I decided to do some shopping, if only so my friend Heidi wouldn’t excoriate me for going to Paris and coming home empty handed. I picked up a few items, and then I noticed that it had stopped raining. I turned and looked skyward to see the sun trying to break through the clouds. Steam was starting to rise from the pavement; the sun was starting to cast vague shadows. The clouds were breaking, the sky was turning clear blue. I knew where I needed to head: Sacre Coeur. I considered hoping the metro or grabbing a Velib bike, but walking felt right. Even as the streets started to gain elevation, plodding along with one foot in front of the other seemed to be the way to go. I leaned into the hills as I started to ascend. 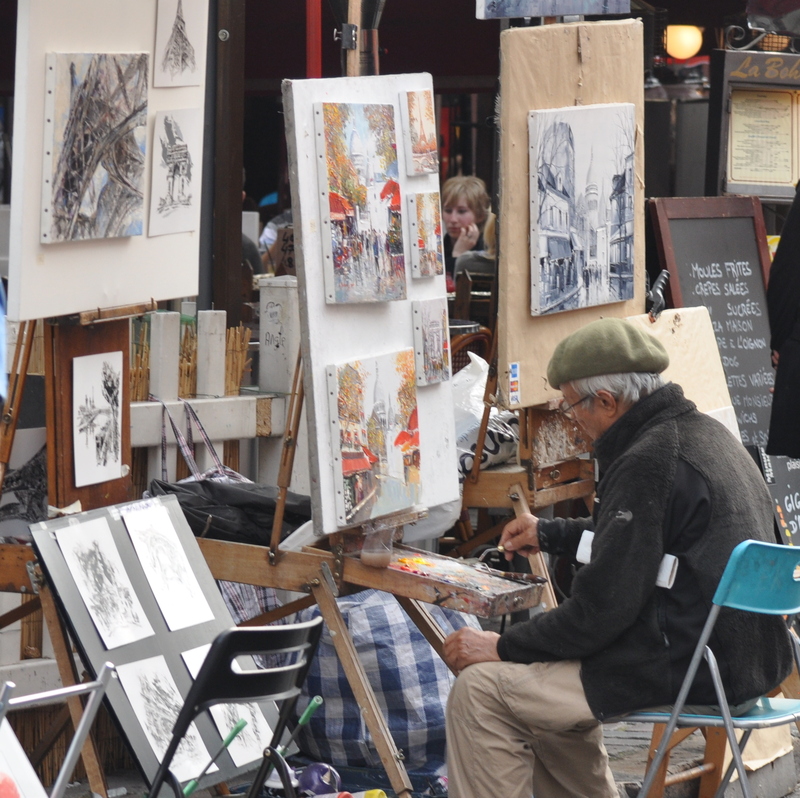 I passed through the Place du Tertre, teeming with artists. 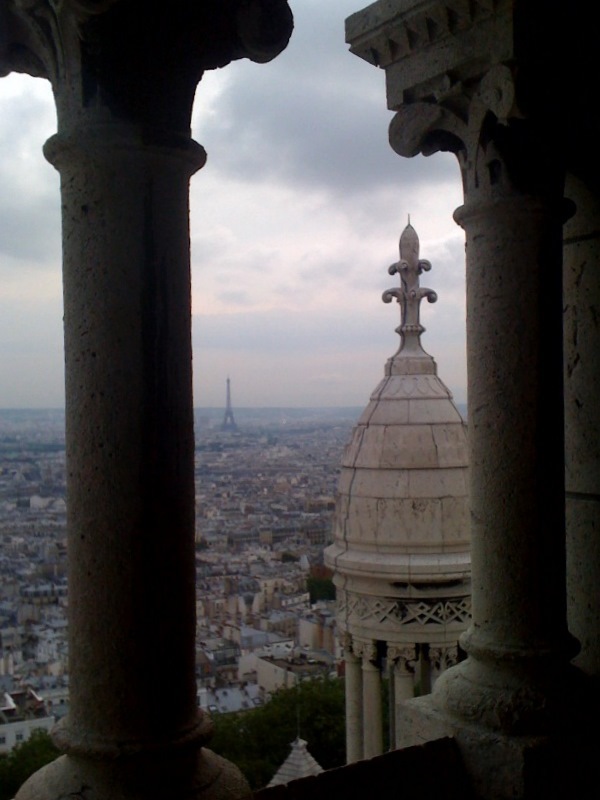 I finished the climb up to the steps of Sacre Coeur and took in the view, the city stretched out before me. But was that enough? Of course not. I had to climb the dome up to the top. A sign on the way in warned that it was 300 steps. I counted to see if the sign was accurate. It was. The view at the top, however, was worth it. 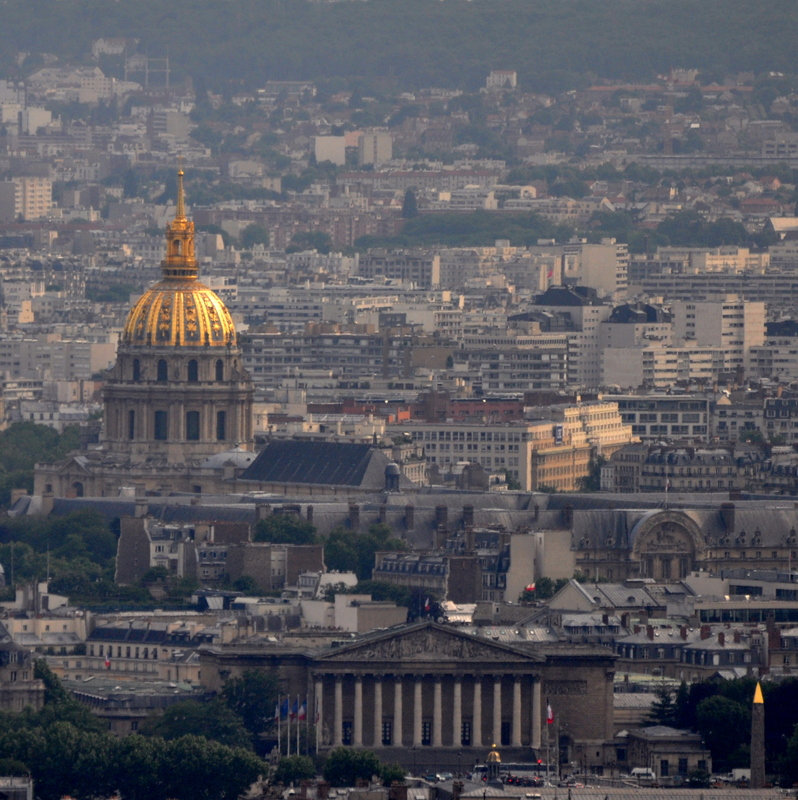 I took in the view of the city, almost as if looking down on Paris from heaven. Then 300 steps back down. Emerging at street level exhausted, I once again thought about hopping the Metro back home. But, again, it felt like a walking evening. I liked the rythym of my lumbering pace as I weaved back down towards the river. I knew I would be too tired for a full-blown restaurant dinner, so I stopped and picked up the four major food groups (bread, cheese, wine, chocolate) and had an impromptu picnic while watching the sun set. Le Sacre Coeur has to be one of my favourite places in Paris. I was very impressed by your color names describing the sky! We don’t have those colors in our first grade crayon box! Well, at least not in the cheapy eight pack. Love your style of writing Sue. Your making me go to bed too late! !